Darkest Hour has been producing some of the best melodic death metal since the late 90’s and turn-of-the-Millennium output of the old Gothenburg guard for the best part of a decade, and they’ve done so with frightening consistency. Their 2005 opus “Undoing Ruin” is widely regarded as one of the quintessential metalcore albums, and one of a rare breed to earn the perfect grade from us, and have those of us who were already staffing this webzine 9 years ago still vehemently defend it as justified today. And that is some feat, given our increasingly critical optics when it comes to reviewing an album. Now, 9 years and three terrific records - each with their own twist on the band’s core style - later, Darkest Hour unleash upon us their eponymous This is who we are album, their most multifarious (and likely divisive) work to date. This more atmospheric and fragile angle to Darkest Hour’s music is not always successful, as the pompous chest pounding in the pop ridden “Futurist”, with its oft-appearing chorus of ”Some fires will never die, some will never ignite. Are you still living a lie? Or will you revel in the rest of your life?”, goes to prove. But one must still bow in respect for the band’s decision to fledge their feathers and take flight, thus averting the danger of becoming stuck in and wearing thin the merits of the thrash fuelled hostility of “The Human Romance” & “The Eternal Return”. And there is still plenty of fodder for fans of that style balancing the equation on “Darkest Hour” as well, such as “Infinite Eyes”, “The Great Oppressor” and “Beneath the Blackening Sky” - all of which, despite their dusting of clean sung vocals, would have found comfortable residence on “Undoing Ruin” with their storm of instantly compelling staccato riffs; as well as the punishing rage against melody that is the duo “Rapture in Exile” and “Lost for Life”, which betray a retro-gaze firmly fixed on the “…Sadist Nation” era. Opening track “Wasteland” even introduces a modern variant on the band’s trademark heaviness, its medium tempo and brutally down tuned guitar tone incidentally bearing a certain resemblance to Whitechapel on their self-titled album of 2012. Listening to the more traditional choices “Darkest Hour” has to offer, it seems to me like guitarist Mike Schleibaum has this innate ability to construct excellent songs with very little effort, yielding stuff like the chilling “Goddess Figure” which reveals an impeccable understanding of contrast between a dark and foreboding verse riding on the crest of furious staccato, and a cautiously hopeful chorus in ”Time waits in spirals and in circuits. And we stay in-parallel, imperfect. And why wait for the silence to be heard when you are the reason why I’m in love with the world?” set against a vast, reverberating instrumental backdrop. It’s a superb piece of music, but at the same time, Schleibaum’s effortless writing is, at times, paradoxically also exactly what hampers the LP: many of the songs sound like he engaged autopilot in order to flesh out the album. They’re not disappointing per se, but they lack the nerve that usually makes Darkest Hour such a thrilling entity. Strong as the highlights may be, there isn’t a song here with the capacity to rival the likes of “Convalescence”, “With a Thousand Words to Say But One” or “Doomsayer”; and fans of the raw energy and muddled tone that was revisited on the previous two albums, including yours truly, are also likely to lament the clean and grandiose production applied here by Taylor Larson. But that should not be viewed as a stop sign. 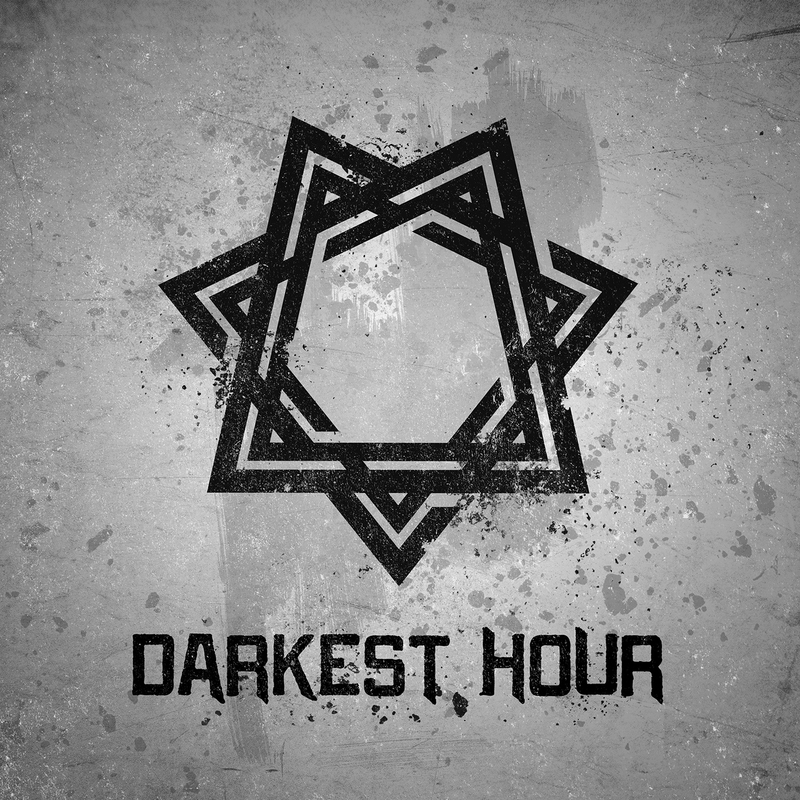 In this day where metalcore is tending towards ever more mechanical approaches, Darkest Hour persist with distilling their inspiration primarily from the very human origins of the genre, with At the Gates’ classic “Slaughter of the Soul” from 1995 still protruding from every aspect of the band’s song writing. 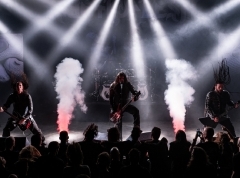 Melodic death metal does not come with much better credentials than this, and while “Darkest Hour” may not rank among the band’s finest output, the determination to try something different continues to earmark Darkest Hour as a lighthouse to which all metalcore bands would be advised to look.